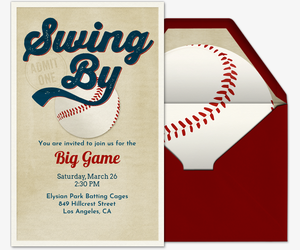 Gear up for game day with digital invitations from Evite. Choose from dozens of free and Premium invitations to watch the game, whether it’s football, soccer, basketball, baseball, or any other sport. No matter if you have tickets for the stadium or are just watching on the television at home, step up your own game by sending our online invitations. 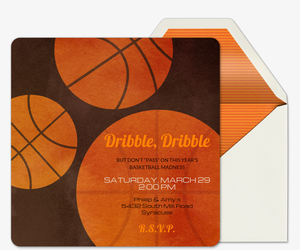 Paperless invitations keep all the details organized, so you can focus on the game at stake. Provide the event details, track RSVPs, manage your guest list, post comments, share photos, and more, all from one digital invitation page. 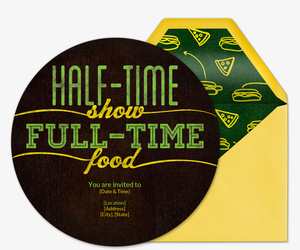 Worried that hosting duties will distract you from the game? Stress less by asking guests to bring something to share using our What to Bring tool. For a little extra rah-rah, send a Premium invite to your fellow fans. 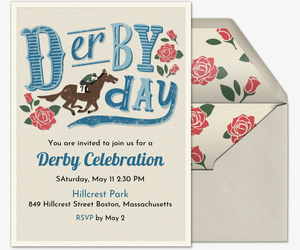 Our ad-free Premium invitations offer the same look and feel as traditional paper invites, and come with matching envelopes, stamps, and add-ons such as photo and text cards. Pricing depends on the number of guests you invite. Score winning game day party ideas from the pros at Evite Party Ideas. We’ll coach you on how to set up game day snacks, DIYs, games, and printables for every kind of sport. 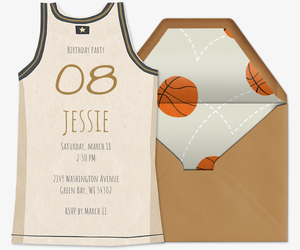 Looking for more sports invitations? 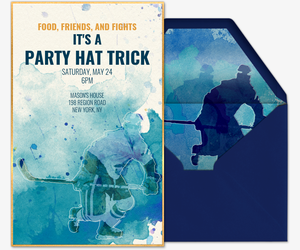 Head over to our Tailgating invitation gallery, Big Game invitation gallery, Summer Games invitation gallery, or our Sports and Leagues invitation gallery for more game day invitations. 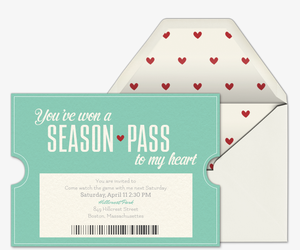 Evite has invitations for all your other events as well, including birthday party invitations, holiday party invitations, wedding invitations, baby shower invitations, dinner party invitations, cocktail party invitations, potluck invitations, and more.